When you are over thirty-five, it becomes more difficult to get a flat belly due to hormonal changes. You cannot eat cookies and burgers and slim down, as you did in your twenties. When you turn thirty-five, it is crucial to eat clean and exercise regularly. You may not be after washboard abs, but exercising and working your core is very important for your everyday life and health. A strong core allows you to deal with ordinary everyday tasks easily. Whether it is doing laundry or sweeping the floor at home, a strong core help you do all the necessary movements. That is why core training routine should be an essential part of your exercising. But when it comes to core workouts, it's not easy to find effective exercises to strengthen your core. 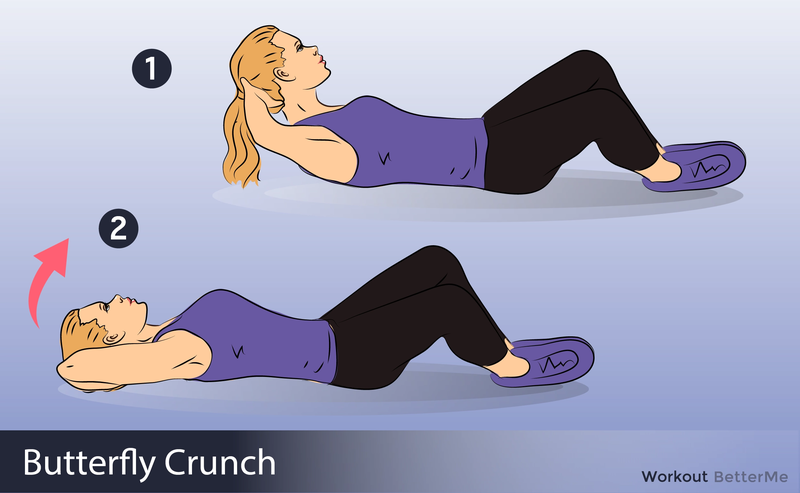 You may think that performing crunches, sit-ups and planks can help you build your dream body, but that is not true. If you want to get a flat belly, you should try these five core moves. This short core training routine is aimed at sculpting your core muscles, which include your hips, legs, belly, back and shoulders. As a result, these moves will make your belly flat and strengthen your main muscle groups. This core workout includes fat-burning exercises such as squats, push-ups, lunges, side planks and diamond sit-ups. These moves work your core, tone your legs and strengthen your back. You should do ten reps of each exercise and hold the plank for forty seconds. If you want to see great results, you should repeat this circuit three times.